For Consular Leadership Day - the consular team broke into teams for Escape the Room. Ian's team had an unfair advantage (even though it was a room he's never done, they had him!) 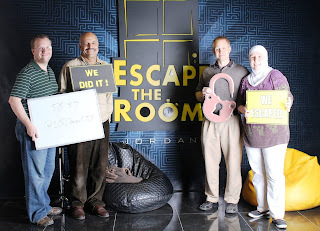 and were the only team to escape.